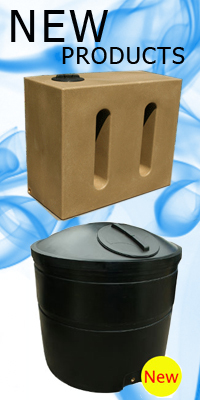 10,000 Litre Rainwater Harvesting System -This system is ideal for domestic and commercial use. 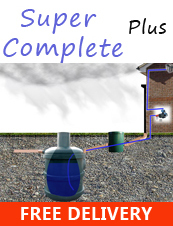 The Ecosure 10,000 litre Rainwater Harvesting Tank is an automatic rainwater harvesting system which is used for collecting and supplying water on demand for both Domestic and Commercial use. The HydroForce Series 3 is an electronically-controlled, pressure-sensitive, submersible, centrifugal roto-dynamic pump with no reciprocating parts. - Guaranteed for 2 years.